Working out has become more of a priority for me this year, and I definitely plan to keep it up in the new year. 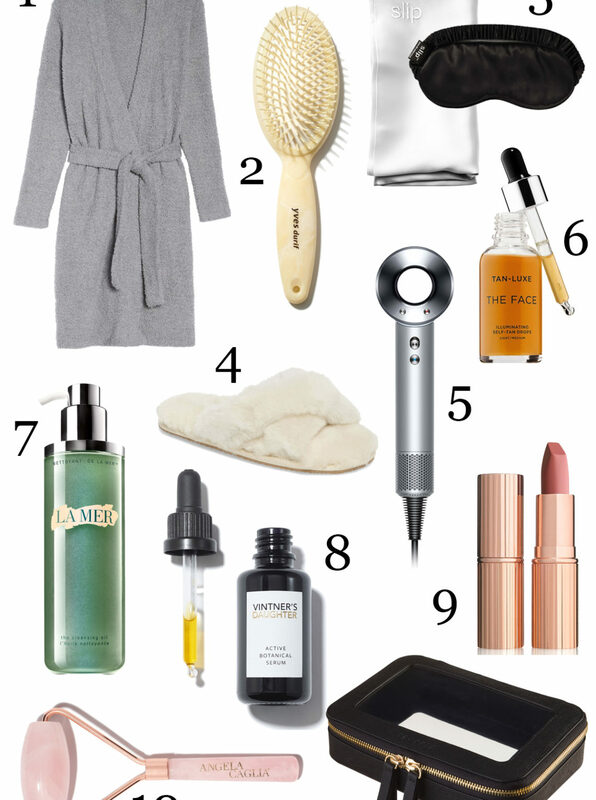 Whether you're looking to find some new pieces for yourself, or your favorite fitness friend, I've got you covered with this gift guide. 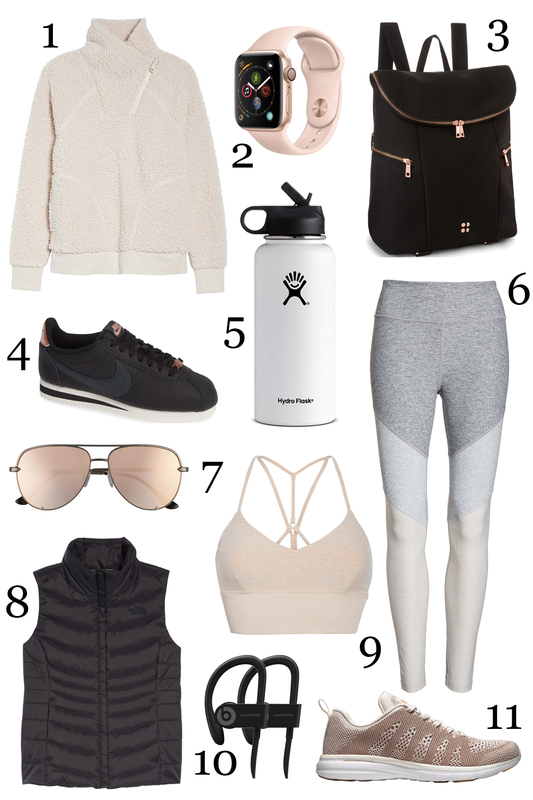 From my favorite activewear pieces to athleisure apparel, these items are sure to make anyone happy! 1 // How cozy is this jacket? Perfect for throwing on after the gym to run errands, or just wear around the house! 2 // The Apple Watch is a great way to keep track of your fitness during the day, as well as stay connected via text/phone. I love listening to my music from here while working out! 3 // This backpack is great for on the go! I love the yoga mat holder as well, such a great idea! 4 // I've had my eye on these black & rose gold Nike sneakers for a little while, and it might be time to drop the hint for a gift idea! 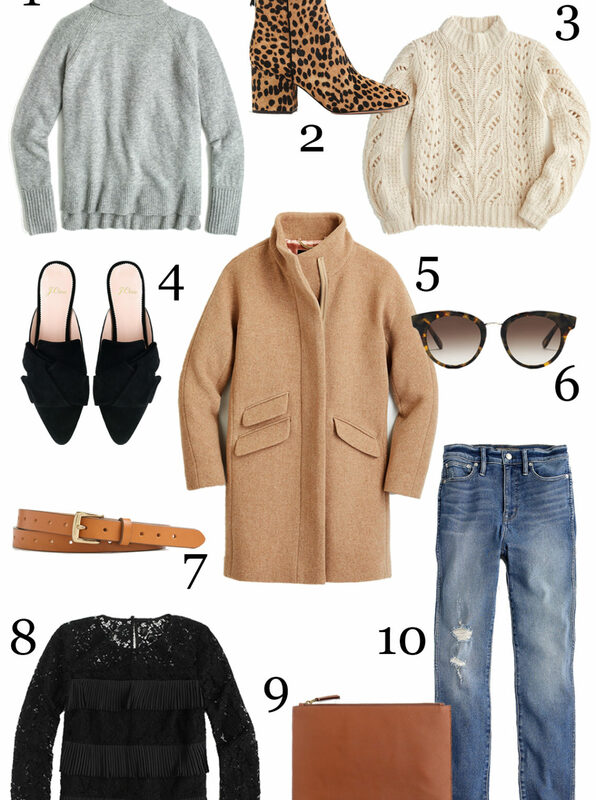 They are perfect for all my casual weekend outfits and under $75! 5 // The Hydro flask is a MUST. I'm obsessed with mine! They come in a ton of colors and sizes too! 6 // The 7/8 leggings from Outdoor Voices are my favorite for working out. I love all the color combinations they offer. The fabric and fit are excellent! 7 // Love these rose gold and brushed silver aviator sunglasses. Great way to complete any athleisure outfit and they are only $65! 8 // This puffer vest is perfect for layering when going to and from the gym or wearing during the winter for any outdoor activity. 10 // These Powerbeats have been my favorite headphones for working out. They stay on my ears and don't hurt after wearing for a few hours. The sound quality is great and you can get them here for Under $100! 11 // I love my APL sneakers and this color combo is so stylish!